Each of us has come into this world to learn and experience what it is to be human. We often think that we are here to master our spiritual path when in reality, we have already mastered that aspect of who we are. We are here to master this human experience and to remember what our soul already knows. We use our soul knowledge to advance ourselves in our human experience. The focus of the Institute is to provide certificate courses for those wishing to work in a holistic environment or to enhance their own learning. It is in our application of the knowledge where we can make a difference in our lives, as well as the lives of others. Through this application of knowledge, we recognize the Oneness of all mankind and share a common bond. The graphic of the three plumes in our logo represents the Threefold Flame and was chosen to represent our Higher Learning. This flame resides in the heart of all of us. Each plume represents a gift for us to embrace and then bring into the world. The blue plume embodies the soul's desire to live within God's Power and allows us the ability to live fully within our own life in alignment with what our soul commissioned to do on Earth. The yellow plume represents God's Wisdom and enables us to use our innate soul knowledge as a guide for our life. It urges us to continue learning and growing and seeking. The pink plume represents God's Love which is our true essence. This love is our way of being, not an action we bestow upon another. It is a love of self that reflects toward others. These three plumes are equally balanced for if one is out of balance, we are out of balance and our human nature takes over. The idea is that Power is balanced with Love and Love is tempered with Wisdom. Our life focus is on enhancing and expanding each of these plumes so that one day the threefold flame will take over our entire being and we will evolve to the level of the Ascended Masters. The teachings of our certificate programs comes from this higher knowing - this place of Ascension. As we learn, we then become the teacher to another and the cycle continues on and on. 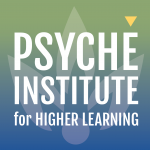 Priscilla Bengtson is the Owner and Director of The Psyche Institute for Higher Learning and The Healing in Harmony Center, a spiritual healing, counseling and education center. 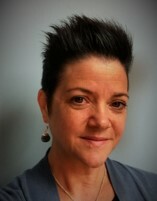 She is a gifted Medium, Medical Intuitive and Healer offering private sessions and also holds workshops and certification programs throughout the US on becoming a Medium, Medical Intuitive, Angel Reader and Spiritual Counselor. Having spent a majority of her professional career in the fitness and wellness industry, she not only has an in-depth understanding of the physical body but has also developed skills in coaching, creating class curriculum for adult learners and making learning fun. She is a certified Angel Therapy Practitioner®, Reiki Master, Sound and Vibrational Healer, Pastoral Care Specialist, Regenerative Detoxification Specialist, Hypnotist, and Health Coach and holds several national fitness and wellness certifications.